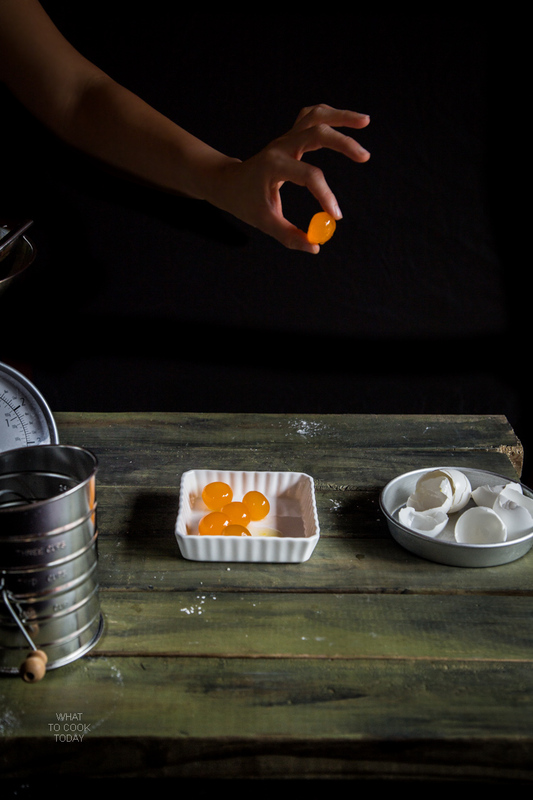 How to make your own salted eggs and smoked egg yolks – How to make your own salted eggs (2 ways) and smoke them. This adds great flavor when you grate them over pasta or any dishes you like. So I decided I wanted to make my own Chinese mooncakes this year and what that meant was, I needed to make my own salted eggs. If I were to eat mooncakes, I want one with salted egg yolk inside the cakes. 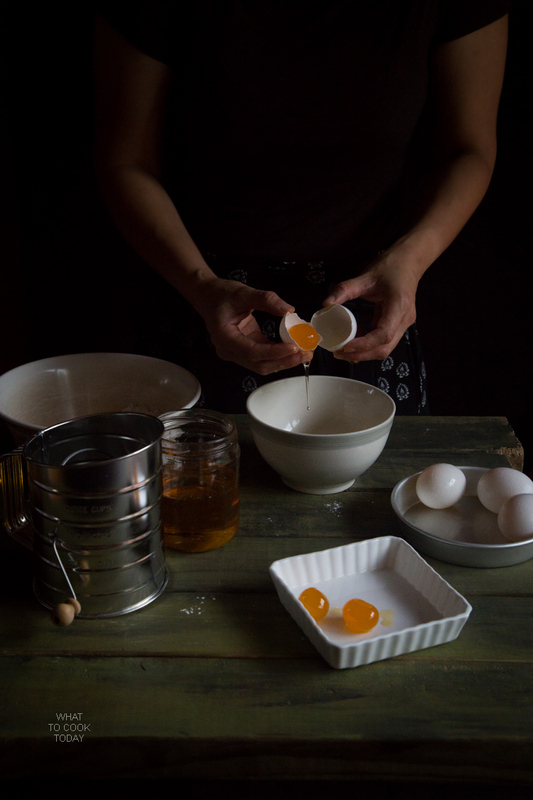 I love savory and sweet combination when you added that salted eggs in the mooncakes. Uncooked salted eggs aren’t sold here where I am. The Asian stores sell the cooked salted duck eggs though, but for making mooncakes, I need the uncooked ones. So, that’s when I asked my mom about making salted eggs. The Farmer’s market near us did not have any fresh duck eggs in stock either. So, I had to use chicken eggs, which really, I think still turned out pretty good. 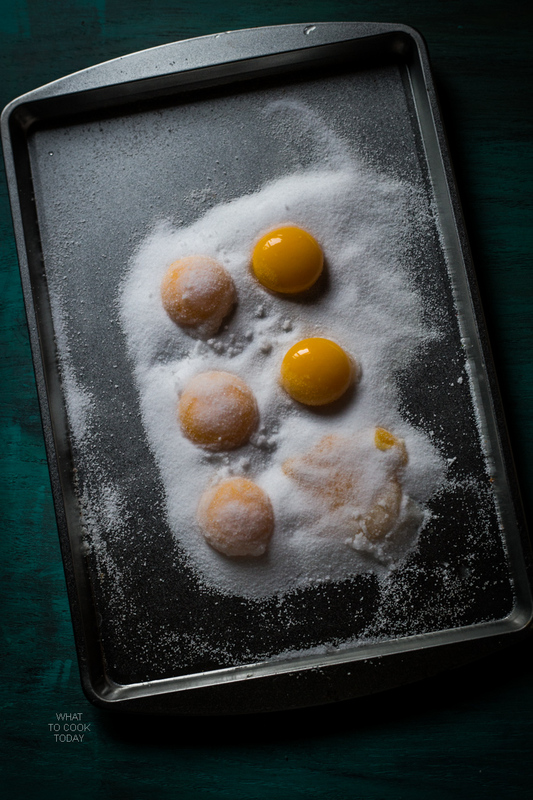 If your purpose of making salted eggs is to make mooncakes, then you will need to follow the brining method, which takes about 30 days or maybe a bit longer. 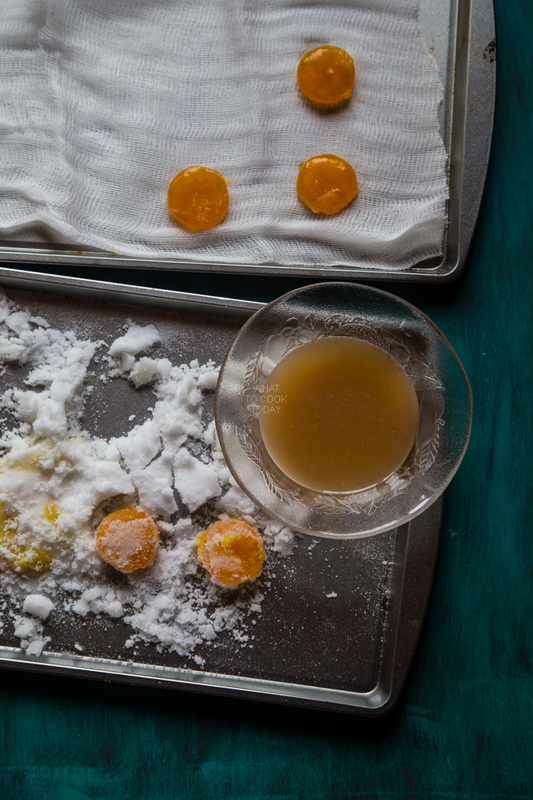 The salted eggs made by submerging the eggs in the brine gives you the round cured yolks, which you need for making mooncakes. 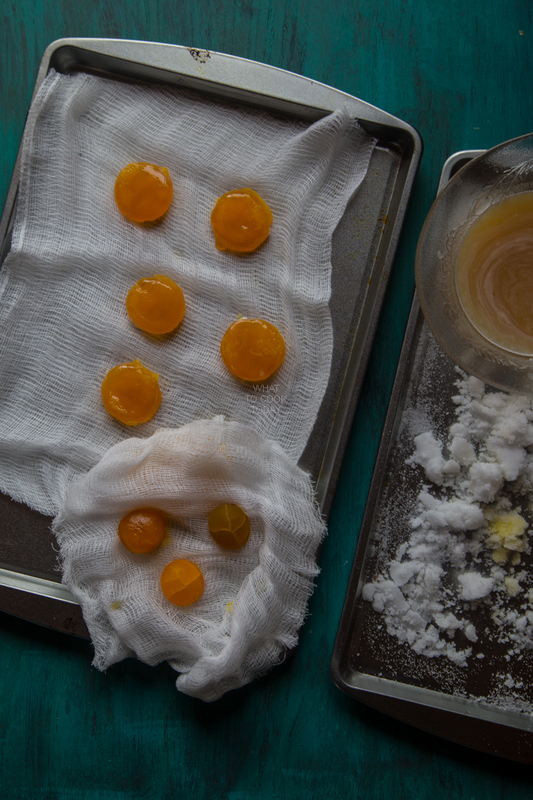 About 30 days later, you will sure look forward to that harden yolk that has deepened in color too. Another method I had tried, I called it Quick Method because it is much quicker, also worked out beautifully. 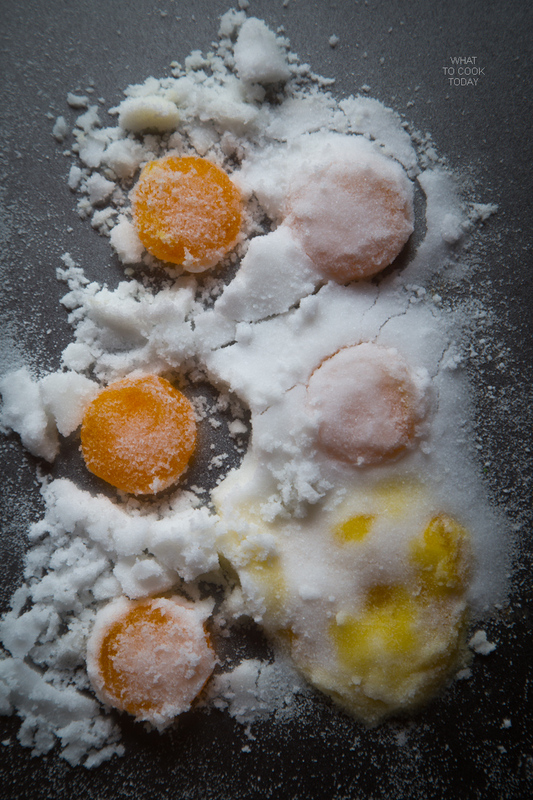 The shape of the yolks will not be round. 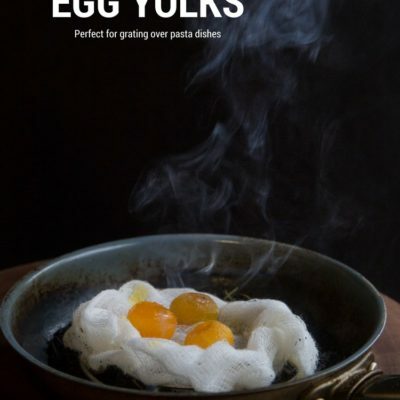 They are going to be more like disc because the egg yolks are actually taken out and cured with salt directly where the brining method uses the whole eggs still intact. These are great for grating over pasta or any dishes you like. 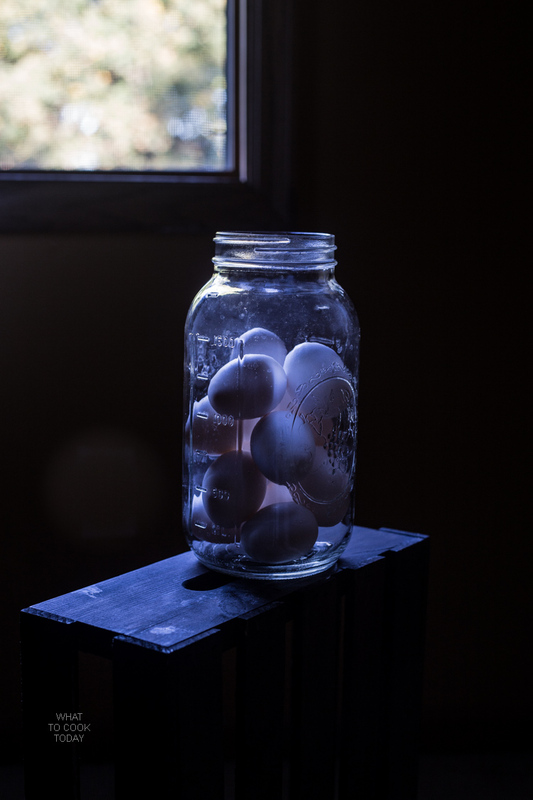 The egg whites can be used for other purpose because they are not cured. 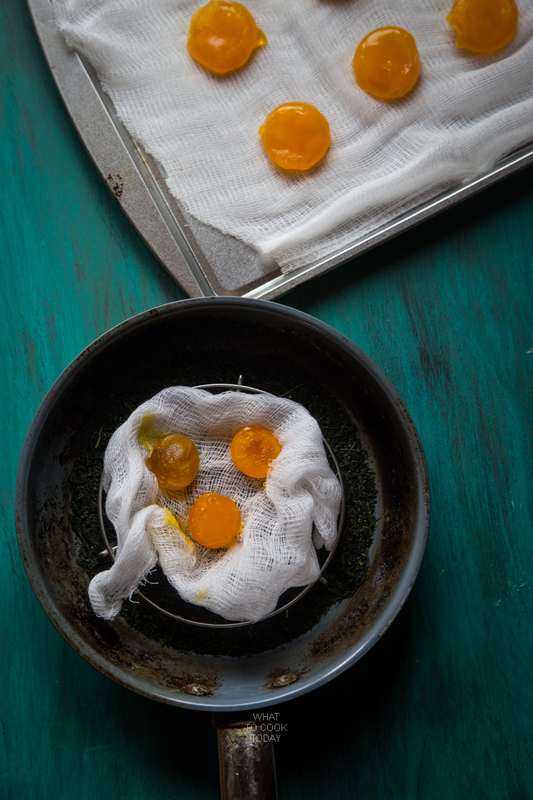 You basically cover the egg yolks with salt and then wrap with plastic wrap and let it cured in the refrigerator for 3 days. All cleaned up. And if you think they are going to taste sour because of the apple cider vinegar, I can tell you they aren’t. 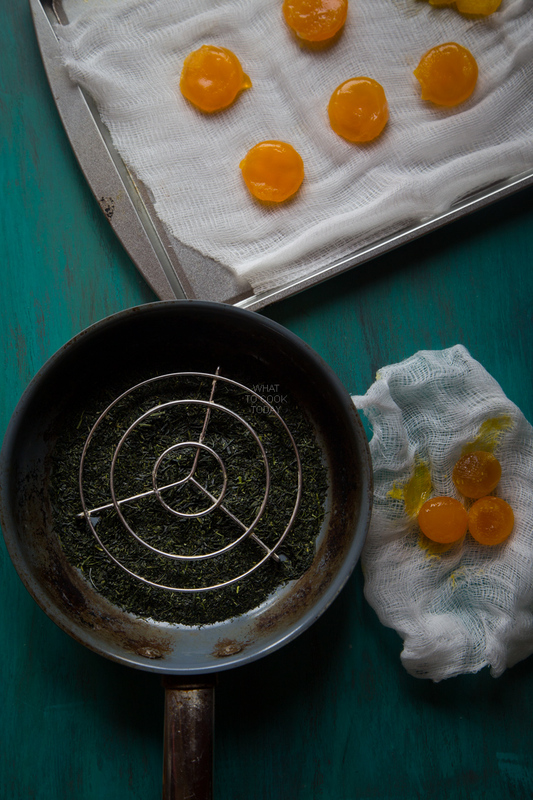 I used mixture of tea leaves to smoke the yolks. Some people use wood chips. I didn’t have wood chips, and so I just use tea leaves. Grate this over pasta or anything you usually will add cheese, and I believe you will like it. Place the salt and water in a medium saucepan and bring to a boil and cook until the salt dissolves. Let it cool down completely. Wow! what an interesting method, I bet these are delicious. 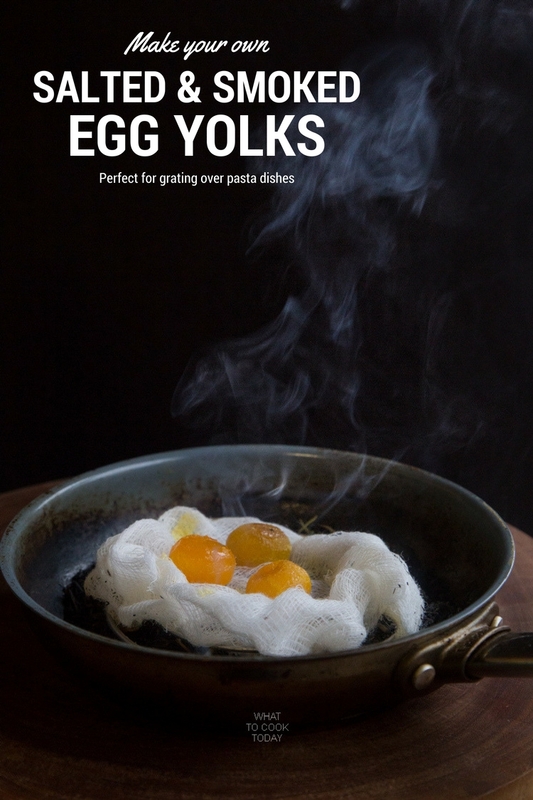 Great way to get rid of my extra yolks after baking. Tks for the recipe. I know right? Hope you like them!